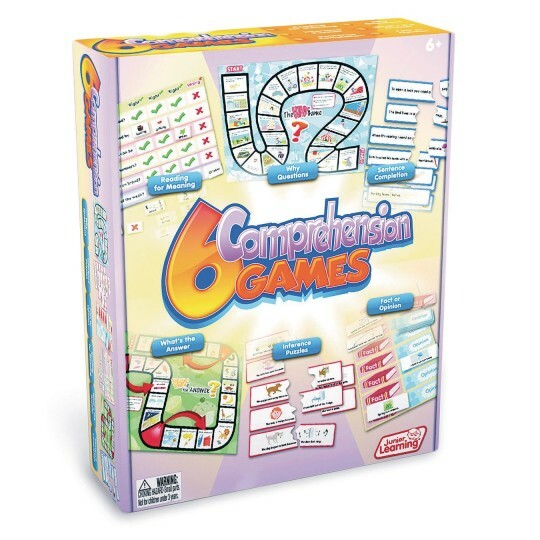 This set of educational games and activities is designed for teaching reading comprehension. By using a simple understanding of words and meaning, children can use their comprehension skills to complete each activity and win the game. Contents: 2 board games, 2 matching games, 20 sentence puzzles, die and counters.